. 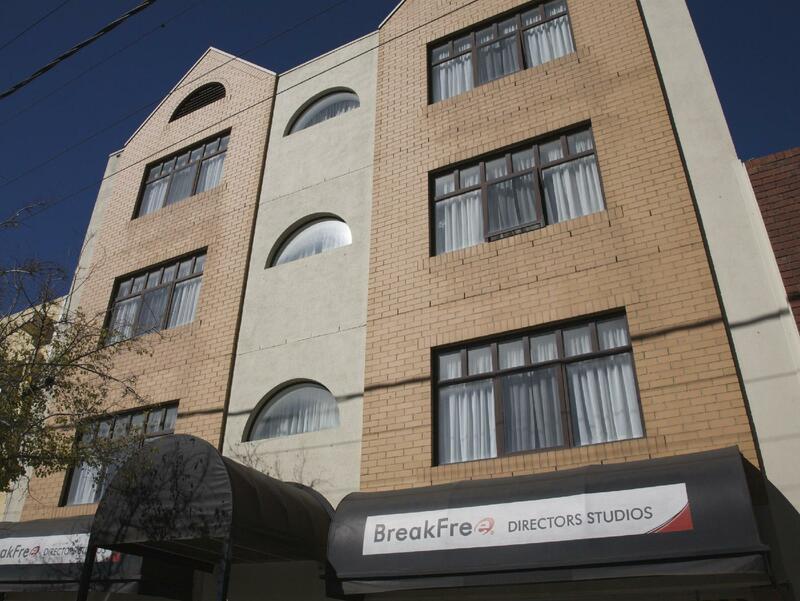 إن الخدمات التي يقدمها BreakFree Directors Studios Hotel تضمن للنزلاء إقامة مريحة. تتضمن الميزات الرئيسية في هذا الفندق: مكتب الاستقبال على مدار الساعة, مرافق مخصصة لذوي الاحتياجات الخاصة, تخزين الأمتعة, صف السيارات, خدمة الغرف. يمكن للنزلاء الاختيار من ضمن مجموعة من الغرف المصممة بعناية لتعكس جواً من الراحة، والتي يتجاوز عددها 61. كما أن مجموعة الخدمات الواسعة الموجودة في الفندق لضمان راحتك تترك لك الكثير من الخيارات لقضاء وقتك أثناء فترة إقامتك. استمتع بخدمات لا يعلى عليها وعنوان ذو اعتبار في BreakFree Directors Studios Hotel . good location to lacal eateries in Chinatown and not too far away from cbd (public transport in cbd is free!). Room was spacious and equiped well for a short stay. Staff was super helpful and friendly! I stayed in Adelaide for 5 days to watch a netball tournament at Priceline Stadium & this hotel was the perfect location. Away from the hustle & bustle of the city, Breakfree was walking distance to the stadium & close to the market, Chinatown & tram to Glenelg. Thank you for your comments Angela. I am pleased to read that you enjoyed your stay and the location. Alison - Hotel Manager. We really enjoyed our 3 night stay here. The room was clean and beds comfy. It was within walking distance to all the sights in central Adelaide. Having the microwave, fridge, crockery, cutlery, kettle, toaster and iron was fantastic and made our stay so much more comfortable than in the average hotel room. Although an older style room the facilities more than compensated. A large supermarket and Chinatown are about 5 minutes walk away. The staff were helpful and friendly. Wifi was pricey and it suited me not to purchase it - it was great to have the choice than auto paying for it in a higher hotel rate. Hungry Jacks is just around the corner and McDonalds a bit further down the road. I would definitely consider this on my next visit to Adelaide. A very very pleasant stay. Hi Julie, Thank you for reviewing your stay with us here at Breakfree Directors Studios. It is always nice to hear positive feedback like this and I will ensure to pass it onto all the team. We look forward to welcoming you back on your next visit to Adelaide. Alison - Hotel Manager. Location is ok for me as I like walking. The Market and Chinatown are nearby. Rooms are comfortable and clean. I wish some guests would talk quietly in hallways when they return late at night and close their doors more gently but that is a problem in most hotels. I will stay here again next time if the price remains reasonable and good value as it is now. I only stayed for one night. 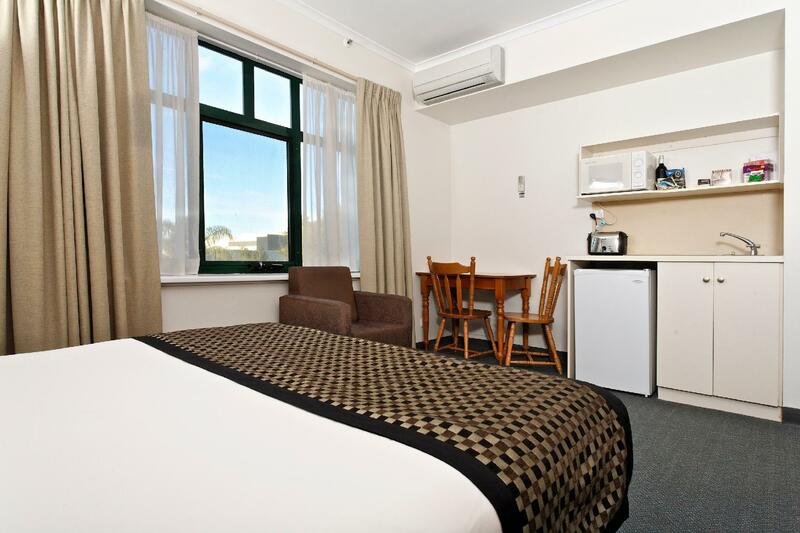 Good location on Gouger Street away from the busy Chinatown end. For those who like Asian food then there are heaps of restaurants nearby. Reception was nice and friendly. Booked my cab to the airport when I checked out. The room I got was small but very cosy. I would stay at this hotel again. I was very happy with my stay at this hotel. I like walking so the location did not bother me. 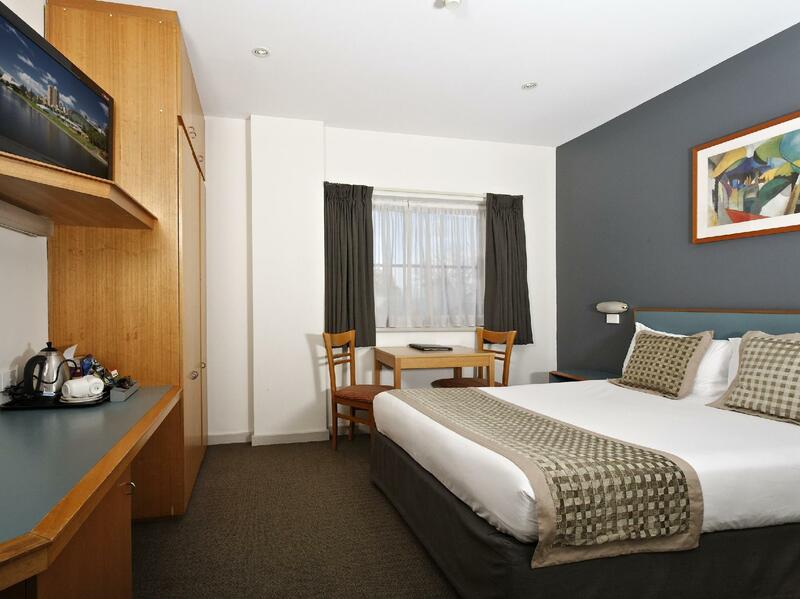 The rooms are very clean, comfortable and mine was quiet which I like for a good night's sleep. The staff were very helpful. I would stay here again next time I visit Adelaide. This place works for me, location and price along with friendly staff. Hi Trevor, Thank you for taking the time to write about your experience with us. I am pleased to hear you found both the location and the reception staff to your liking. Alison - Hotel Manager. Value for money is ok. Do not expect anything special. This is just a room without a vue. We had a small window facing the corridor. The room was functional, clean and well mentioned. If you need a room to sleep only then the room is ok. In todays age free Wifi must be included in the room rate. Next time I have to pay extra for wifi I will stay in another place. This is a small but functional hotel located about 10mins walk away from Chinatown. Hotel rooms are housed in a separate building from reception. While staff are generally pleasant and polite, the hotel does need to ensure information on hotel booking sites are accurate and truly representative. I was offered complimentary late checkout when I made my booking and this was not honoured upon arrival. All that was offered was an 11am checkout instead of 10am and this is something that most hotels offer with no extra charges. There was also no mention on the booking that it was for an eco-room with no housekeeping for the entire duration of the stay unless you paid for it. If you needed fresh towels or more toiletries, there was a cost for that too. My advice to the hotel: review your policies and price point. No point keeping offerings at such a basic level for a low rate especially if its going to upset customers. Rather bump the room rate up alittle and include things like wifi. Thank you for taking the time to provide detailed feedback on your recent stay. We will continue to work with Agoda to ensure effective communication of Sale terms and conditions directly to guests. Warm regards Alison - Hotel Manager. We stayed here for two nights. The pros were that the room was a good size, the bed comfortable and the room was quiet. The cons were that the front desk lady who worked the evening shift was not polite or friendly, and the the wash that we did using the hotels machine and detergent didn't even clean our clothes. The hotel was fine, they just have to address those issues. Had a few problems with our 1st check in room. The shower enclosure could not close. The whole bathroom would be wet during our shower. The staff on duty was kind enough to move us to another room. 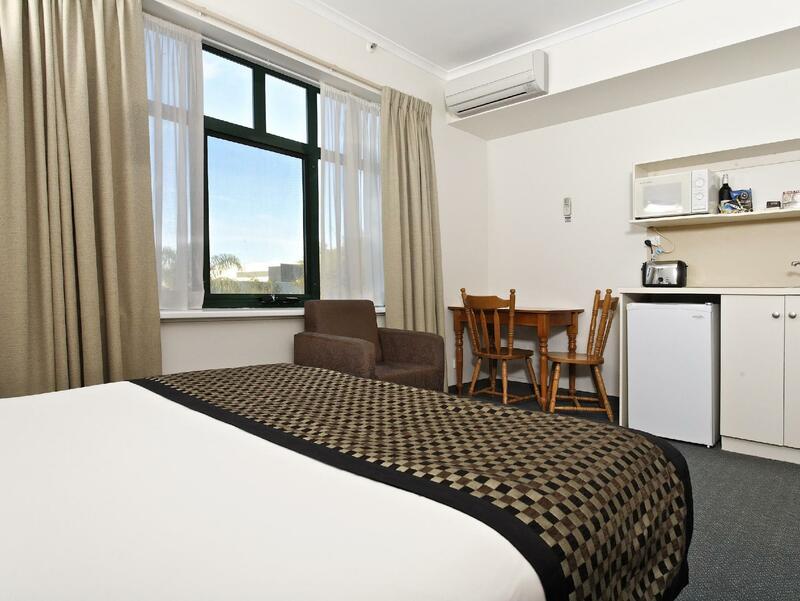 Location is good as it is at the fringe of the CBD area and Chinatown. A 10min walk to Chinatown & 15min walk to Central Market. Buses within the CBD was free. We took it to visit the northern part of the city eg. University of Adelaide and the Zoo & Botanical gardens. Also quite close to the airport ie. a 30min local bus ride. I stayed at the Breakfree and upgraded on first day to a Studio apartment with queen and single bed, this was very cheap. Only things I found lacking was free WiFi which is very common these days in any Hotel / Motel you go to. There are no facilities such as restaurant, the food shop next door is unreliable in timings so breakfast was at the Adelaide Markets approximately 10 minutes up the road. 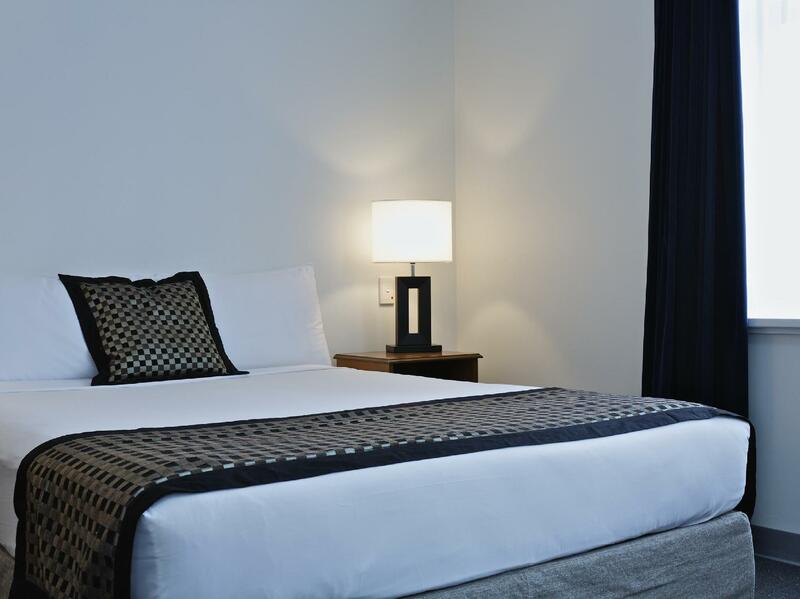 The hotel is located in a very convenient area with a short distance from China town, Central Market and not too far from Rundle street areas. The price is acceptable for the facilities and location. If it keeps the prices and level of service, I'll definitely stay there next time.